As expected some enthusiast has started branding of ethnic products which are presently sold either by retailers , street hawkers or some specialty sweet shops. 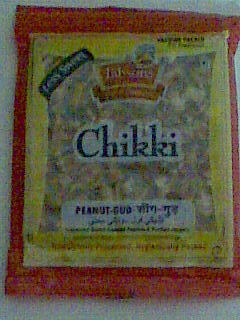 Here is an example of our own 'Gud KiChikki" - (Peanut in bar of jaggery ) . Expect few more ! . Malls and super markets have started putting up these products on shelf thus catering to local taste and products which is good for manufacturers . Few examples are rusk , bhujia , ghujia , gazaks , chiwda , varth related snacks etc .